I’ve been avoiding the news for a while now–I can’t watch another Hurricane Katrina retrospective, heartwarming rebuilding story, or tragic recap. Just. can. not. do. it. So I spent the K+5 anniversary dining out in the best way I know how: eating a shrimp cocktail at Chilangos (2723 Roosevelt, Kenner, LA, 504.469.5599). The cocktail, overflowing with beautiful Gulf shrimp, was an edible reminder of rebirth, recovery, and renewal. Chilangos is a restaurant that didn’t exist before the storm; in fact, it owes its very existence to post-Katrina in-migration and entrepreneurial spirit, springing to life out of a taco truck and one cook’s persistence. Owner David Montes, a frequent & gregarious presence in the dining room, fought Jefferson Parish’s anti-taco-truck ordinance as long as possible before opening a permanent restaurant in the late, lamented Taqueros location. 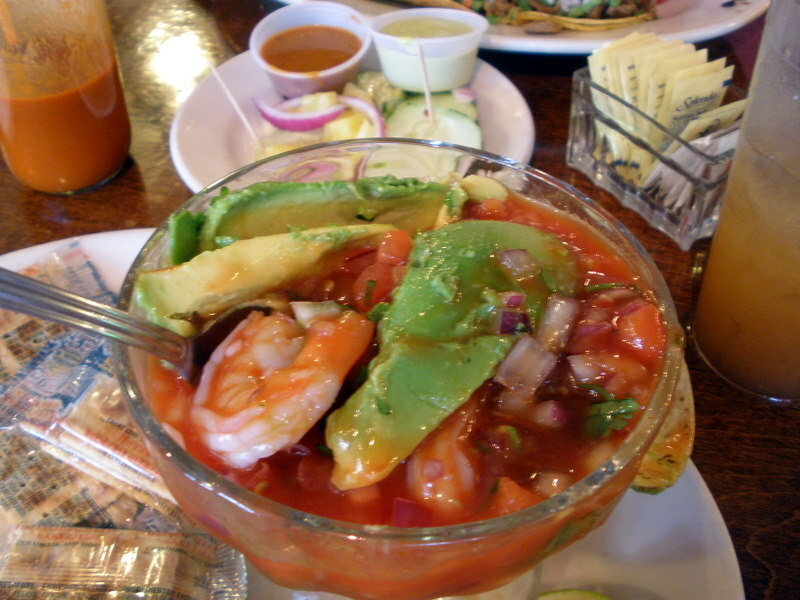 Weekend specialties like seafood soup (served in deep bowls laden with shell-on shrimp and crab), menudo, and mole poblano draw steady crowds of new New Orleanians. Five years after Katrina, Montes is chasing the American dream, one day at a time, just like the rest of us.